Sideshow Collectibles and Legacy Effects have teamed up for an exciting new Mythos line which aims to re-imagine popular movie icons. 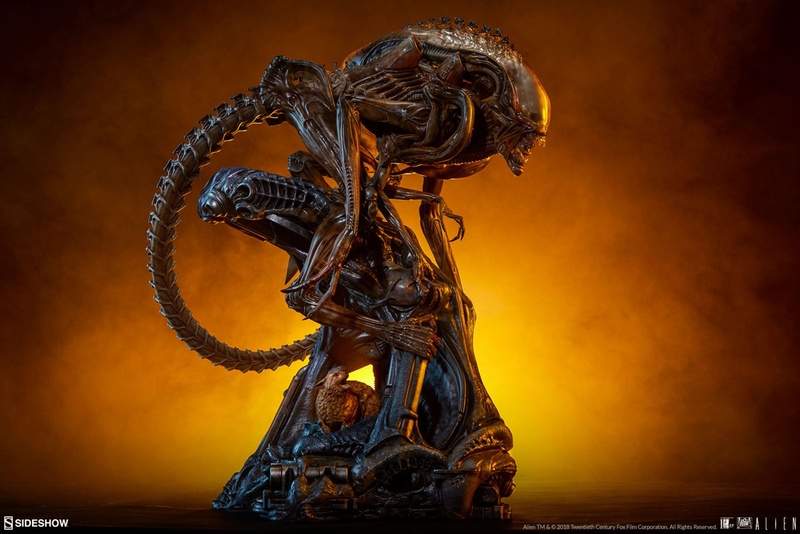 One of which is the iconic Xenomorph - which (shown below) will also feature Ripley's companion Jonesy the cat! 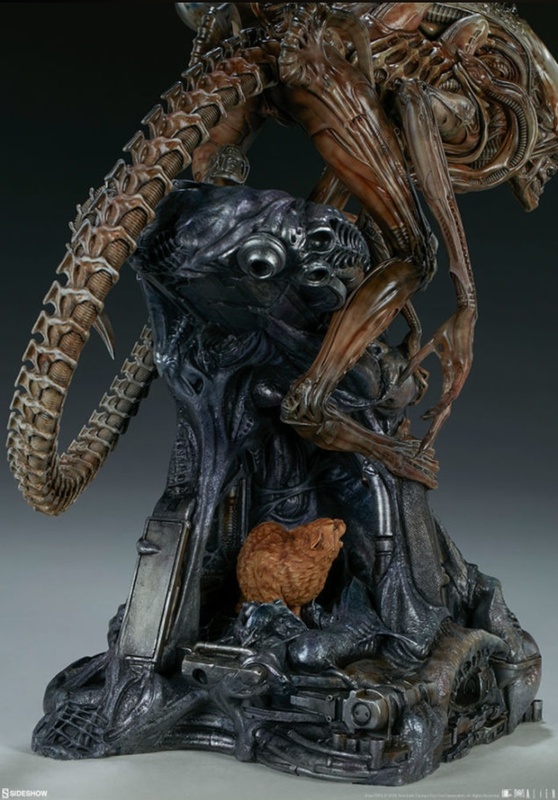 io9 revealed images of the upcoming statue today. Currently no additional information or pre-order dates are available but as new details arrive for this item we'll be sure to keep you updated! What do you think of the new Mythos Alien design? Let us know your thoughts in the comments section! 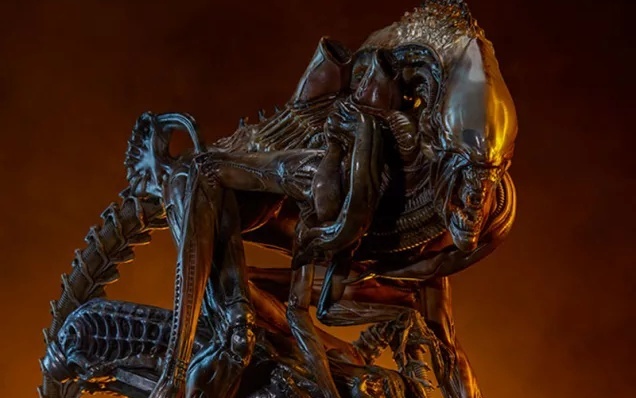 2 Fan responses to Sideshow's new Mythos Alien collectible is everything we've been waiting for! Nice! 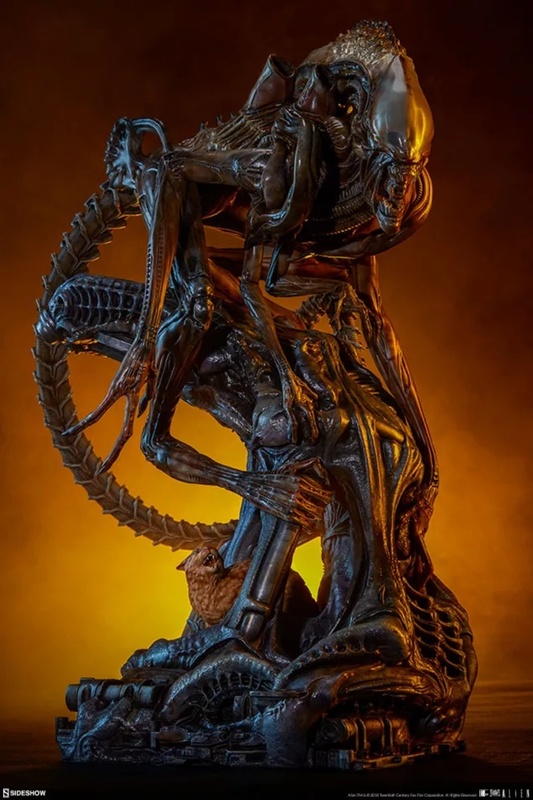 I can't figure out the structure/thing the xeno is standing on. Really cool and it's nice to see Jonsey get a nod! 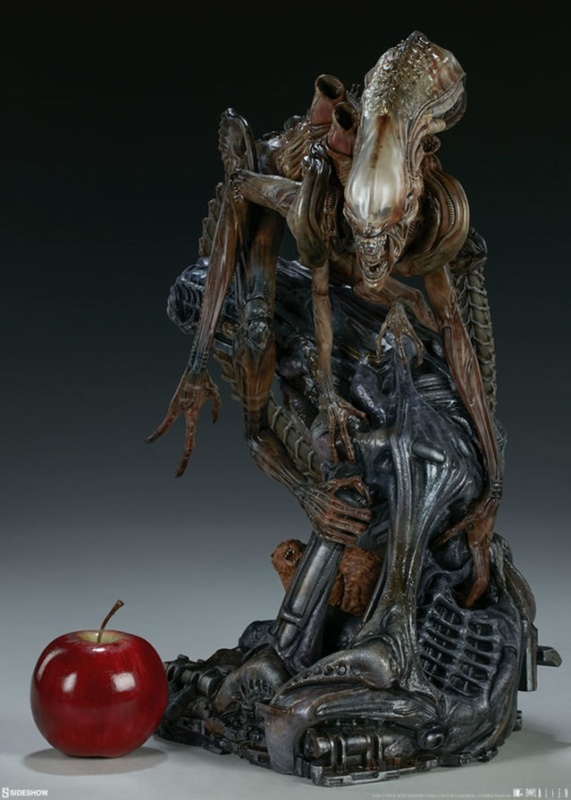 This is a interesting piece, it seems to take a nod to some of the latter concept works that were apparently for Blomkamps Alien 5 works done by Carlos Huante which featured Multiple Limbs and even headed Xenomorphs.